Katrin vs Annie vs Sara - Who do you think will win? 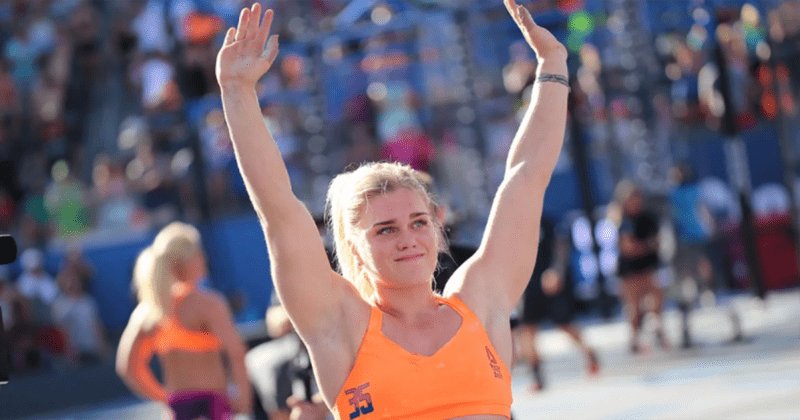 Katrin Davidsdottir will take on Annie Thorisdottir and Sara Sigmundsdottir at the live announcement of CrossFit Open Workout 18.5. This will take place on the 22nd of March in CrossFit Reykjavík, Iceland. Dave Castro is going to Iceland to announce the last Open workout of the 2018 season. Sunny days .. make me HAPPY ☀️🙌🏼😍💛🌻 I’m on the @vitaminshoppe instastory today just incase you want to tag aloooong hehe! Katrín Tanja Davíðsdóttir, commonly know as Katrin Davidsdottir, is one of the Icelandic CrossFit dóttirs. Katrín is 24 years old and one of two women that have become the fittest on earth twice. Her sport background comes from gymnastics, which is highly beneficial for Crossfitters. She was introduced to CrossFit when she was 18 years old and her biggest inspiration is now her competitor, Annie Mist Þórisdóttir. Katrín has qualified for the CrossFit Games 5 times, and comes back stronger every time. 2017 unfortunately was not her year, but she still finished in 5th place. It will be interesting to see how her training prepared her for 2018. Ben Bergeron is her coach and he has really helped her get in the best shape of her life, both physically and mentally. Ben also coaches other top athletes such as Mat Fraser. Katrín is very humble and believes that she can always be better if she keeps going, everyone can always be better, because then there is always room for improvement. When she finished in second place at the Regionals in 2016, she kept the medal in her bag to remind herself that she was not perfect, and that only made her stronger. Katrín lived with her grandparents while studying in Iceland, before moving to Boston. Her grandmother, Hervör, was her biggest fan and used to be the loudest in the audience cheering her on. Katrín dedicated her second title of the fittest woman on earth to her grandmother, as she had passed away in April that year. When Katrín was crowned the fittest woman in Iceland, the first interview was with her grandmother, and boy was she proud of her girl! The CrossFit Open Workout 18.5 live announcement will not be Katrin’s first appearance of this nature in the Open. Katrín goes all out in this workout and gets the same time as Annie Mist Þórisdóttir in the end! Here we see Katrín Tanja Davíðsdóttir and Brooke Wells do 17.3, not together but the videos have been cut so we can watch them both perform the workout. * If all reps are completed, time cap extends by 4 minutes.